Are you an avid fisherman? Do you love to spend your time out on the water searching for the perfect catch? If so, then you most likely already know the benefits of using high technology while you’re out fishing. While back in the old days you had to rely on instinct and your wits to help you locate the best spots, these days you can let a device do all of the heavy liftings for you. Since they came out, fish ﻿﻿finders have made the whole process of fishing so much easier. Instead of hoping for the best now you can have definitive proof that you’re in the right spot, meaning that you are all but guaranteed to come home with a catch of the day. These handy devices have changed the landscape of fishing for the better. 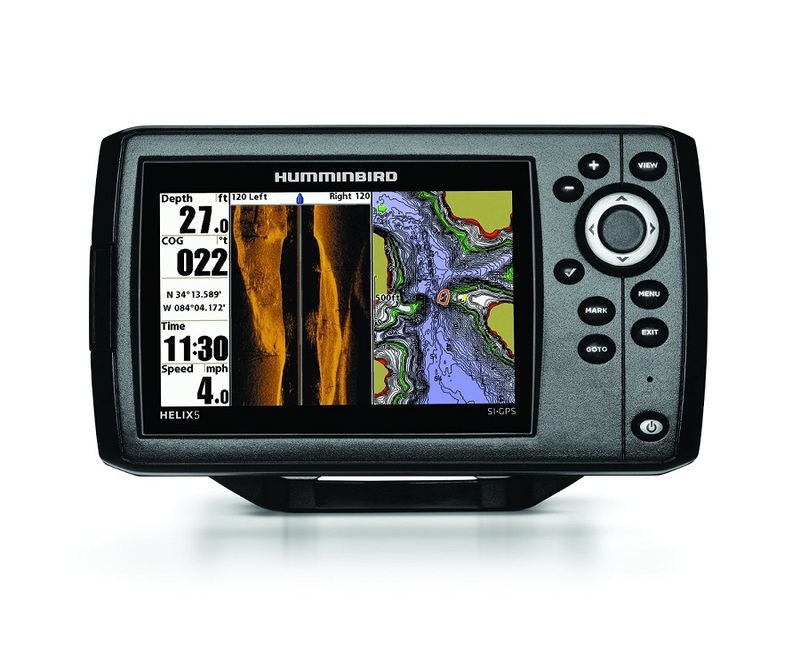 So, with that in mind, let’s take a look at the Humminbird Helix 5 SI GPS. This is one of the best-selling units made by Humminbird, and it’s easy to see why. 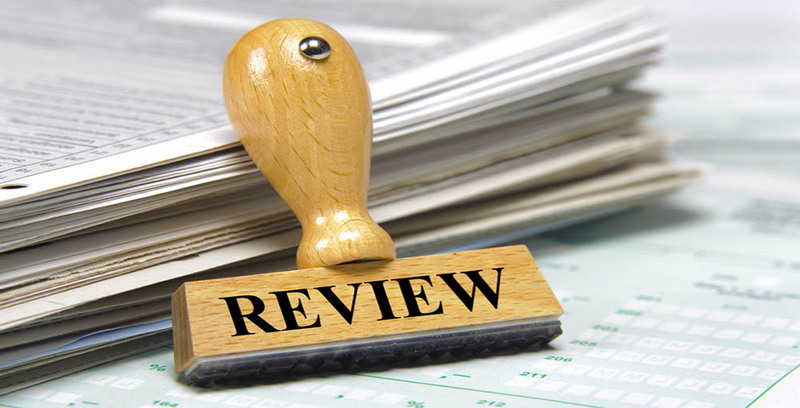 When you check out all of the features that come with this machine, you will agree that it is far better than the competition. When it comes to fish finders, most fishermen will agree that having a GPS is by far the best way to go. The reason for that is it gives you the ability to track your location and mark it down on the map. In the early days of fish finders, you had to do all of this manually, which meant that you had to be good at cartography as well as fishing. Fortunately, now you can see your precise location and save it for next time, thus sparing you the burden of having to remember exactly where you were when you found all of the fish. In this case, the Helix 5 SI GPS comes with maps pre-installed so that you don’t have to worry about anything. However, if you prefer to get more detailed ones or want to scout areas that are not already included, you can download maps﻿﻿ ﻿﻿﻿online and then import them into the device for better results. Part of the reason that having a GPS is so great while out on the water is that you can mark down the best locations to find fish. That way, you can return to the same spots every time and save yourself a lot of hassle in trying to navigate to new fishing grounds. This is possible because the Helix 5 allows you to save your charts to a memory card. That means that once you go back out into the boat, you already have all of the information saved from your last journey. Best of all, you can download new data and maps to the memory card so that you can expand your fishing capabilities. Another big thing about fish finders is the quality of the screen. Many low-end models display in black and white, which can be hard to read because of everything blends into each other. With the Helix 5 SI GPS, you get a beautiful five-inch LCD screen that shows all of your data in crystal clear color. That not only makes it easier to see what’s happening under the surface, but it helps you track your location on the GPS as well. Best of all, the screen gives you side by side comparisons so that you can see everything all at once. One the far left you can see your depth, speed, and water temperature, in the middle is the readout of the transducer, and on the right is your GPS location. If you want to focus on one part specifically, the device allows you to transfer anything into a full-screen mode so you can see it more clearly. When comparing different fish finders, the most important thing is how well it can track fish. Even if everything else is top of the line, if the sonar or transducer don’t work well then you might as well be operating a brick. In this case, you get a 4000-watt sonar which allows you to see everything around you with absolute clarity. Best of all, you get two beams, which means that you can see on the side and below you. Most fish finders only display everything beneath the boat, but the Helix 5 SI gives you the ability to track fish on the sides as well. That means that you get a more comprehensive view of the water around you, so you don’t have to do multiple sweeps of the same area. Along with the sonar capability, your fish finder is only as good as the transducer. When talking about this component, you can either get one that can be cast out into the water or one that is permanently mounted to your boat. The Helix 5 SI gives you the latter, which is beneficial for a few reasons. First of all, a transom mounted transducer is more powerful and can penetrate deeper into the water. That means that whether you’re out on the river or in the ocean, you can get a good view of everything beneath the boat. Secondly, this type of transducer is usually more accurate as it doesn’t move around or get knocked about by the waves. Overall, the transducer that comes with the Helix 5 is highly capable and gives you a comprehensive view of the surrounding water. No, the housing is water-resistant. However, if you drop it in water, then it will break. Are maps installed on the device? Yes, but they are rather basic. If you want more detailed maps, you have to download them online and save them to your SD card. Yes, both the transducer and the reader come with mounting brackets. However, it is rigid and doesn’t allow for tilting or quick release. You can, however, buy a separate mount and use it instead. How long is the cable to connect the transducer? The one that comes with the unit is twenty feet. If you need something longer, you will have to purchase it separately. At full charge, you should be able to get about eight hours of continuous use. Even if you have some experience with fish finders, there are still some ways that you can maximize its potential. Because these devices can be tricky to manage, there are all sorts of methods to help get the most out of them. What you should remember, however, is that if you’re not getting the results you want it could be that you didn’t install it correctly. With that in mind, here are some common tips to help you with your finder. Use GPS and depth tracking simultaneously. When you do come across a good fishing spot, you don’t want to have to toggle back and forth between your GPS and the scan images. Be sure to do both at the same time so that you can mark your location down before you cast out your line. Zoom in on the bottom. The more that you go out, the better you will be at understanding the environment beneath your boat. Depending on the fish you’re after, they will like soft or hard surfaces, so be aware of how to read it on the screen. That way you will know that you’re in the right spot, even if you don’t see a ton of fish right away. Learn to filter out noise. Depending on where you fish, there will invariably be a lot of clutter on your screen. Find out how to differentiate between that clutter and the fish so that you can get faster at spotting them. Sharp arcs only happen if the fish are moving. If you see weak arcs on your finder, you may think that it’s not working properly. However, that just means that the fish aren’t moving that much. Don’t be afraid to reposition your transducer. If you’re not getting the readings that you think you should, don’t assume that the machine is broken. Most of the time, it’s because the transducer is in a bad spot. Put it somewhere else and test it out before you think about replacing it. As far as fish finders go, the Humminbird Helix 5 SI GPS is one of the best, especially given the price. While I would prefer if it came with a better mounting bracket or a slightly larger screen, this device has everything you need to make each fishing trip successful. Whether you like to go out on the lake or head into deeper waters, this fish finder will help you come home with a catch that you can be proud of. I’d love to have one of these things for my next fishing trip, I would get so many more catches. Thanks for sharing!